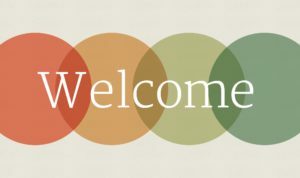 Greetings and welcome to OPUS! We couldn’t be more thrilled to serve as the Editors-in-Chief for the 2018–2019 academic year. Since its inception in 2009, OPUS has provided Applied Psychology undergraduates with a forum for sharing their independent work. We are extending the opportunity to students in CAS Psychology, Child and Adolescent Mental Health Studies, and students studying psychology abroad. On this website, you will find a list of our upcoming events, past issues, our mission statement, descriptions of staff writer positions, staff biographies, and more. This year, we are excited to welcome submissions in the form of literature reviews, research proposals, case studies, and abstracts of independent projects and honors theses. In addition, staff writers are welcome and encouraged to produce psychology-related book reviews, opinion pieces, and interviews with professionals in the field. We hope to produce a publication that reflects the diverse research interests and showcases the scholarly work of NYU psychology undergraduates. For general inquiries, please do not hesitate to contact us at nyuappliedpsychopus@gmail.com. Interested in applying to become a staff writer or submitting a piece for the fall issue of OPUS? Editors & writers will be hosting OPUS open hours, a writing workshop for all APUG students. Come if you need feedback on your current papers, want to hear about ours, or want a snack!